isnt that the sweater wearing hipster from the car commercials? I don't know what I think about it. The concept is great! I just feel like it still distracts drivers, even though it might do it less. The hand gestures are still a little bit distracting. I definitely feel like this technology can be implemented into other things. Price wise, it should be around $600-$800. Great news! Roav pre-orders begin next Monday (Nov. 14)! Preorder price is $299 ($499 regular price). yeah and chubby with all that driving. It looks nice weather, go ride a bike instead. he's actually a video content creator, owner of sandwich video, which makes all those similar feeling tech company commercials/videos. $300 is good price. i am in for one. just want to know how it will work. if it is cheap/fairly it will be worth it, otherwise probably not. there are so many cheap gps options out already (if your car doesn't have one) and the other features are cool but newer cars are integrating them anyway. While it looks like a cool piece of kit, I think at $300 I will sit on the fence for a while until some reviews start coming in. 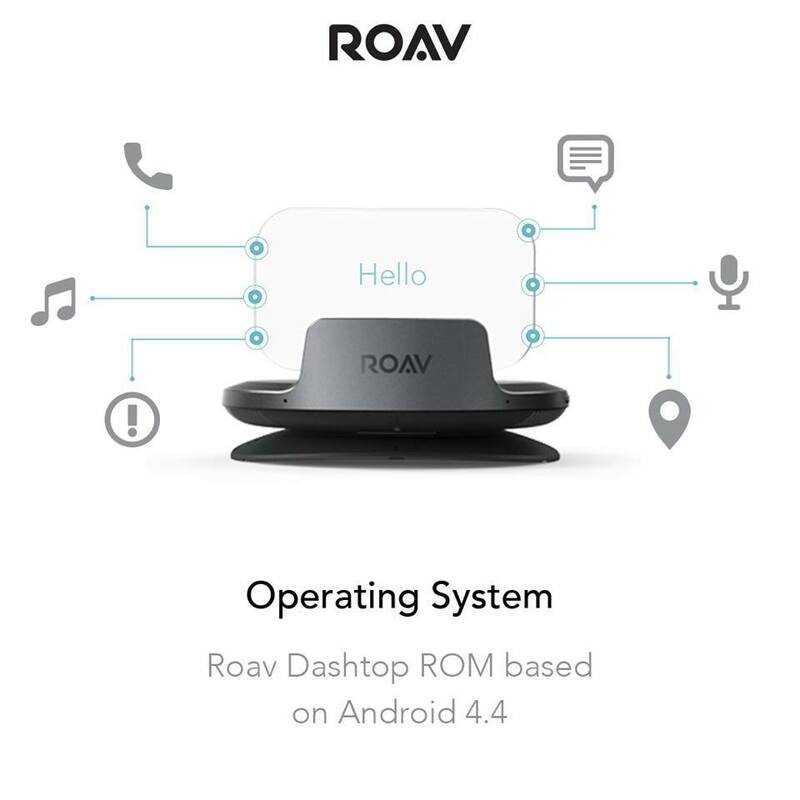 With Roav you can answer calls, get directions, and play music, all without lifting your hands from the wheel! Looks like Roav sign bigger than Screen. Or you could not buy Roav and keep hands on steering wheel, eyes on the road and not try to hurt anyone? Not speak, ignore your phone, listen to the directions you programmed before you began driving. Music just put the radio on or a stack of CDs. Roav will be good for adding all those things that the baseline or older cars dont have, such as navigation, bluetooth interface, collision avoidance, gas mileage etc. Its a $500 version of the $3000 systems installed in new vehicles. I posted this in another Roav thread but just bear in mind if it takes up your ODBII port you won't be able to use Progressive Snapshot or other similar insurance products. Or vice versa. If it runs android then why are Anker creating their own app store for it?